Hi-Energy Punk Rock with catchy guitars. 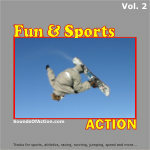 Great for after-school activities and sports. Light, driving Indie Pop with a very catchy and positive string hook. Driving Riot Grrrl Indie Rock with a drum machine, distorted bass guitar riffs and quirky synthesizer melodies. Triumphant Rock Track with a marching beat and brass fanfares. Driving Pop / R&B with lush Fender Rhodes, cool bass riff and a catchy brass section. Very happy uptempo Pop-Rock with a light Punk vibe. Uptempo Alternative Rock / Grunge Track with heavy guitars, bouncy drums and thrilling lead guitar fills.